Fringed by white-sand beaches, embraced by jungle-clad mountains, and pulsating to the rhythm of samba. Rio de Janeiro is Brazil’s party city, made famous around the world for its annual eye-popping party parade, Carnaval. I’ve been dreaming about running around Rio for some time and am happy I was able to tick off Brazil’s cosmopolitan, beach beauty off the ol’ bucket list. 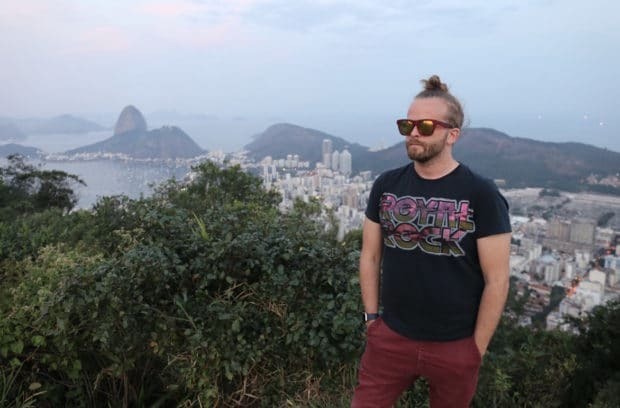 Days before departure I flipped through DK Eyewitness Travel’s Top 10 Rio de Janeiro and created a shortlist of all of the experiences I wanted to tackle during my short two night stay. Rio is famous for its postcard perfect jaw-dropping views, serious steakhouses and fine art filled museums which contrast perfectly with the city’s collection of awe inspiring larger-than-life graffiti murals. But it’s the locals, known as Cariocas, with their irrepressible love of life that will make your departure from Rio feel as though you are leaving a slice of your heart here. Size: super thin and packed full of useful quick tips. Easily slips into your pocket while running around the city. Easy to Use: each of the chapters lists the Top 10 things you should experience at a particular attraction so if you’re time crunched or don’t want to miss out on exploring a museum’s star attraction it’s an invaluable resource. Includes Map: in the books back pocket you’ll find a detachable waterproof map which comes in handy when you are spending so much time tanning on the shores of Ipanema. 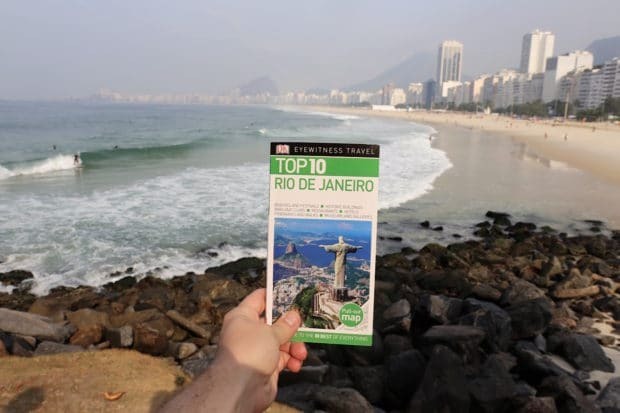 Great Top 10 Lists: the first few chapters of the book are dedicated to the Top 10 most visited attractions in Rio while the remaining are niche lists which are handy for those who have unique interests. Examples include Moments in History, Off the Beaten Path and Festivals. Insider Tips: the guide is full of useful insider tips and tricks which answer a lot of great questions you might not even think to ask. When does the first funicular to Christ the Redeemer depart each morning? What is the best route to trek Parque Nacional da Tijuca? When does the last gondola leave Sugar Loaf Mountain so you can enjoy the sunset? Situated on Avenida Vieira Souto, in the heart of Ipanema beach, the Hotel Fasano in Rio de Janeiro combines the sophistication of the city’s most coveted address with modernity and efficiency in design and service. The hotel is the first project designed entirely by Philippe Starck. 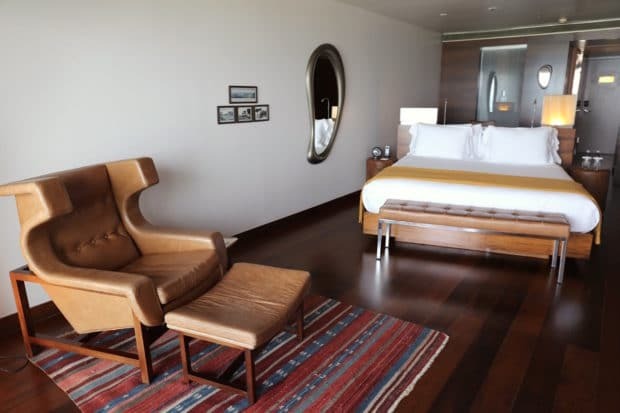 From the 50’s and 60’s-style furniture to the vintage uniforms designed exclusively for the hotel, everything has been thought out to reverberate the glorious Bossa Nova era, when Ipanema was blossoming into the most charming neighbourhood of Rio. The Fasano Rio de Janeiro is a maze of architectural wonder. Warm earthy tones come together in a variety of material from all over the world: white marble from Greece, Chinese yellow onyx, 19th century red brick from Argentina and ironwood from northern Brazil. The Fasano’s sweet suites feature oceanfront views with petite terrace overlooking the beach, 300 thread-count Egyptian cotton sheets, goose-down pillows and white marble bathrooms. It’s no wonder the hotel has become a playground for the world’s rich and famous with past guests including David Beckham, Kate Moss, Lady Gaga, Beyonce and Madonna. 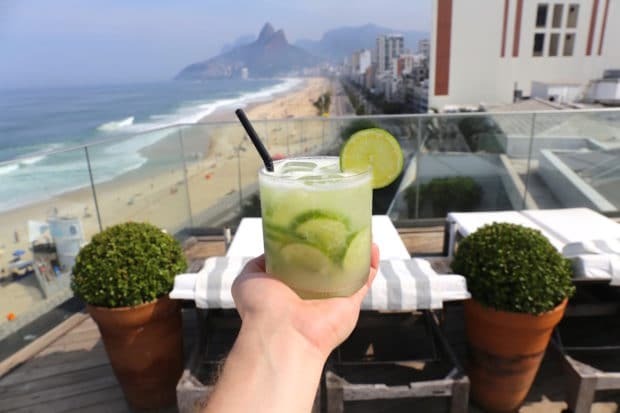 Hotel Fasano is perhaps most famous for its rooftop swimming pool which offers a breathtaking view overlooking the beach, Two Brothers mountain, Arpoador and the Corcovado. It’s the perfect perch to sip a boozy lime muddled caipirnha in the hot heat of the afternoon or croon over a romantic glass of champagne at sunset. Rio’s most celebrated beach, Copacabana stretches from the Morro do Leme in the northeast to the Arpoador in the southwest. It is a year-round tourist hub, famed for its New Year’s Eve celebrations. When a tunnel connected the the area with Botafogo in 1892, Copacabana was an unspoilt bay with picturesque dunes. By the time Copacabana Palace was built, the neighbourhood had more than 30,000 residents. Today, it is one of the most densely populated areas in the world! On Sundays, the road closest to the beach is closed to traffic, so this is a particularly good day for cycling and jogging along the beachside track that leads west all the way to Barra da Tijuca. There are plenty of cafe’s serving up piping hot pastries and frothy lattes each morning. A perfect place to wake up to the world as surfer’s shoot across roaring waves. 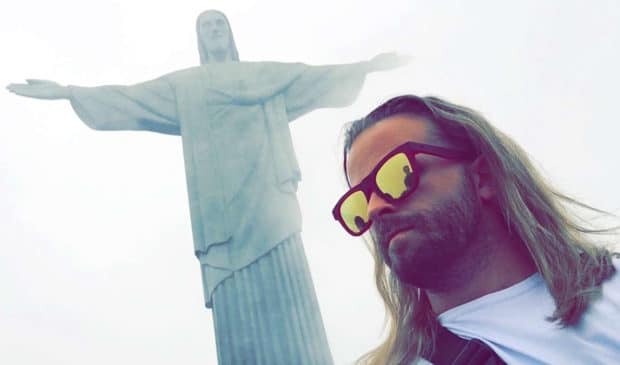 The iconic Christ the Redeemer (Cristo Redentor) watches over Rio from the 2,316 ft high Corcovado, named for the Portuguese word for hunchback. The winning design in a competition for a monument to represent the spirit of the city, it was inaugurated in 1931 and has come to symbolize Brazil. The journey to Christ’s feet – through the streets of Cosme Velho and the Parque Nacional da Tijuca is as rewarding as the panorama from the summit! None of Rio’s magnificent views are more breathtaking than those from the top of the 1,312 ft high granite and quartz Sugar Loaf at the mouth of Guanabara Bay. Marmosets, tanagers, and myriad birds are a common sight on the trails that run around the monolith’s summit. 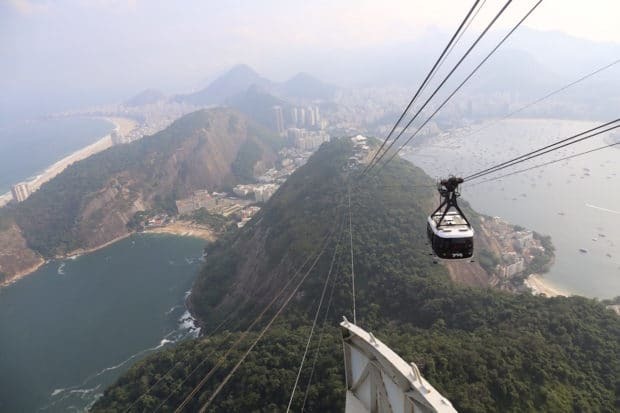 The Sugar Loaf is one of the highest points above sea level in Rio and is reachable by cable car from Morro da Urca. 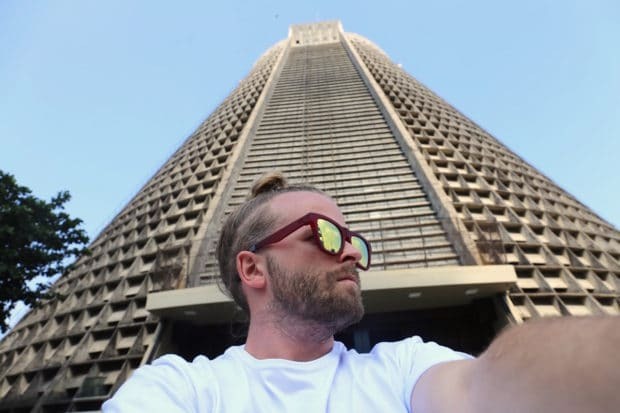 Once you’ve reached the top you’ll enjoy a jaw-dropping dramatic, 360-degree view out over Rio, Guanabara Bay, and the surrounding rain forest-covered mountains. The Benedictines, the first religious order to establish itself firmly in Brazil, founded this magnificent hilltop monastery and church in 1590. 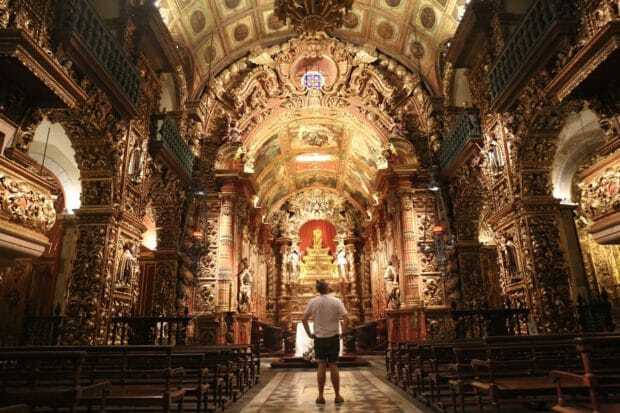 Dedicated to Our Lady of Montserrat, one of the black Madonnas of Europe, it boasts richly decorated interiors that date from the 18th century – the formative years of Brazilian Baroque. The interior took almost 70 years to complete and was the life work of a series of artists, notably Benedictine monk Frie Domingos da Conceicao. Rio’s striking Metropolitan Cathedral, with its truncated conical shape, was conceptualized by Ivo Calliari, a Catholic priest. The cathedral’s first stone was laid on January 20, 1964, and the inauguration of the still unfinished building was held 12 years later, in 1976, marking the 300th anniversary of the Diocese of Rio. Standing 248 ft high with no interior columns, this huge cathedral has a seating capacity of 5,000 and can accommodate up to 20,000 people standing. The interior is dominated by four magnificent stained-glass windows that stretch 197 ft to the ceiling. They represent the apostolic (yellow), Catholic (blue), ecclesiastical (green), and saintly (red) traditions. 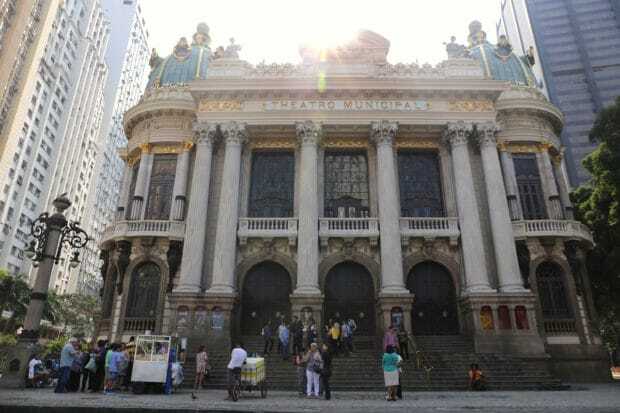 Rio’s Municipal Theatre, built between 1905 and 1909, is the main venue for the city’s ballet, opera and orchestra, and continues to attract the very best talent from both Brazil and abroad. Illustrious names include Nijinsky, Sarah Bernhard, Anna Pavlova and Luciano Pavarotti, to name just a few. Farther south along Avenida Rio Branco is the heart of Cinelandia or “cinema land,” the area around which the city’s movie houses sprang up in the 1920s. Many are still in operation, most notably the Cine Odeon BR which opened in 1926 and closed in 1999 for renovation. It reopened a year later as the headquarters of the Rio Film Festival. Rio’s newest attraction is the spaceship inspired Museum of Tomorrow which will surely be one of the Olympic city’s must-see destinations. The $55 million museum was designed by Spanish architect Santiago Calatrava and is the centrepiece of a renovation to Rio’s derelict port. Inspired by the natural landscape of the country, the two story museum features a cantilevered roof and facade with moving elements. The museum retains Calatrava’s sleek signature aesthetic as it seems to be moving outward, pushing out into the bay. 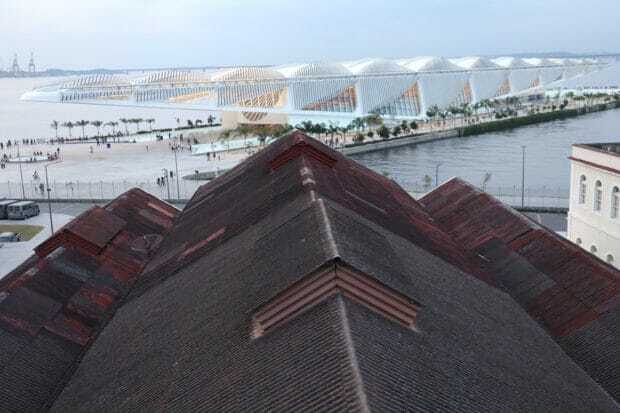 The design incorporates a continuous strip of landscape along the southern length of the pier adding to the effect of the museum floating on top of the natural setting. The Museum of Tomorrow was conceived as an innovative cultural space that would seek to address the future of the planet. The museum’s exhibits address issues such as population growth, increased life expectancy, consumption patterns, climate change, genetic engineering, distribution of wealth technological advances and changes in biodiversity. 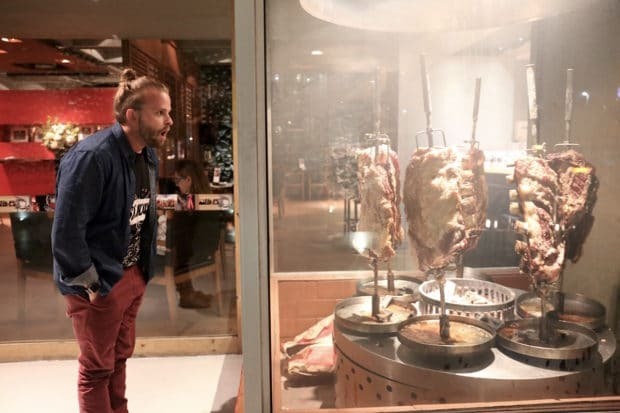 Churrascaria’s offer a carnivores delight as a wild selection of meats are cooked “churrasco style,” which translates roughly from Portuguese to barbecue. Distinctly a South American style rotisserie, it owes its origins to the fireside roasts of gauchos of southern Brazil traditionally from the Pampa region, centuries ago. In modern restaurants, rodizio service is typically offered. Passadores (handsome meat waiters) come to the table with knives and a skewer, on which are spread various kinds of meat from beef, pork, lamb, chicken, sausage and ham with pineapple. The most famous of Brazil’s top end chains is Fogo de Chao, which currently operates over 30 locations in the US and 10 in Brazil. Once seated guests are greeted with a basket of pipping hot cheese bread and platter of crispy deep fried polenta fries. Gravy boats filled with mint sauce and chimichurri sit at the centre of the table so guests can easily slather their favourite meats. Grab a plate at the buffet and you’ll find a decadent selection of side dishes to compliment your steak featuring fresh salads (quinoa tabouleh, kale and orange, caprese…), imported cheeses, antipasto and roasted vegetables. Ipanema shot into the limelight in the 1960s with the globally famous song written by Antonio Jobim and Vinicius de Moraes, “The Girl from Ipanema.” The actual name of this fashionable area is credited to native Tupi-Guarani who called the area Y-panema, or “rough water.” The first non-native residents moved into the area around 1884, and today Ipanema and neighbouring Leblon are considered the most desirable places to live in Rio. More residential than Copacabana, Ipanema is also more stylish, with its back streets dotted with chic boutiques, bars, restaurants and nightclubs. 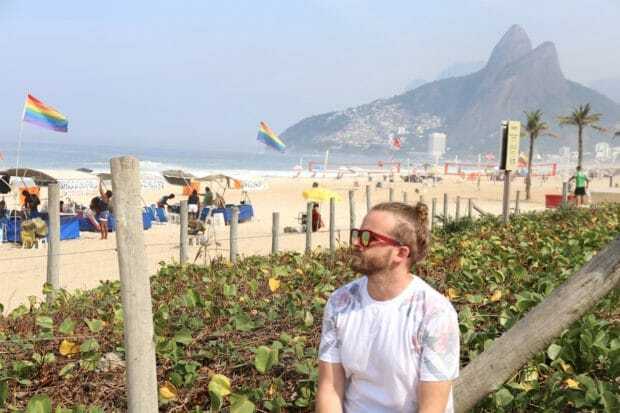 Stroll to Posto 9 on Ipanema beach and you’ll find the soft sand is flanked by rainbow flags. You’ve arrived at Rio’s LGBT HQ where local and visiting gays come to lounge and relax in the sun. An afternoon here is an essential experience. Bring as little as possible. Sun-shades, deck chairs, snacks and drinks are readily available at the beach. There are also plenty of beach volleyball courts here which offer ample people watching opportunities as bronzed bombshells in tight speedo’s skip along the sand. 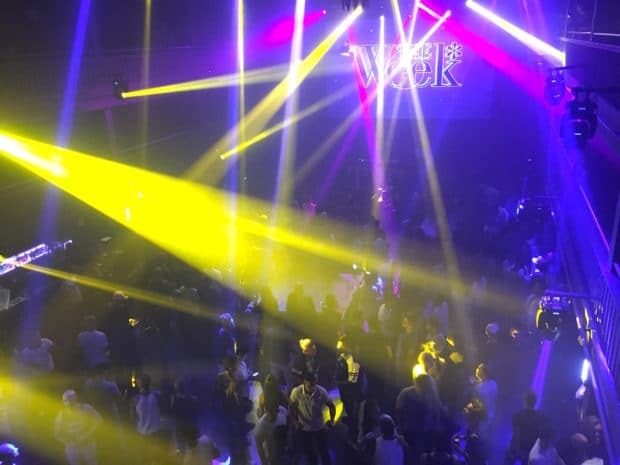 Rio’s most famous queer nightclub is simply titled, The Week. The venue first opened its doors in July 2007 in the Centro area of town where you often find warehouses and even train stations converted into upscale bars and clubs. The Week is one of these unique joints, featuring two dance floors, a lounge, outdoor area with a pool and separate zone for VIPs. The 22,000 sq ft space has a capacity to host over 2000 people! Bursting with colour and a hotspot for fancy dress, don your fanciest party gear here and head out for a night of swaying salsa in a venue which really captures the carnival spirit.